Amnesia!?! Normally I'd roll my eyes and consider memory-loss a soap-opera like plot device. Not this time around, folks! In Love Water Memory it worked. There was a realism that other stories of this type are missing. Do you remember the short lived comedy, Samantha Who? This book reminded me of that series, only with a more serious tone. Girl loses memory. Girl wakes up. Girl has a drastically different personality than the one she had before the memory loss. I'm not one to dig for themes in the books I read. But the theme of this book knocked me over the head a time or two: Fresh starts! New beginnings! What a great book to read at the beginning of a very new year. 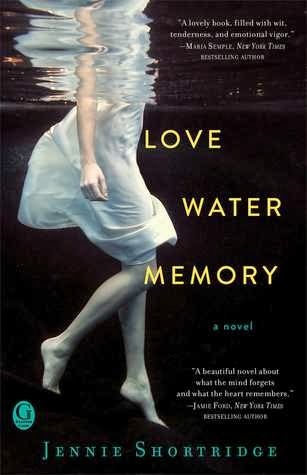 If you're in the mood for a book that will make you think (about your relationships, your choices, your personality) you can't go wrong with Love Water Memory. Well, hello! I know you are a cut-to-the-chase sort of gal. If you say this isn't soap-opera-ish, I will believe. I may just give this one a try. Good day! 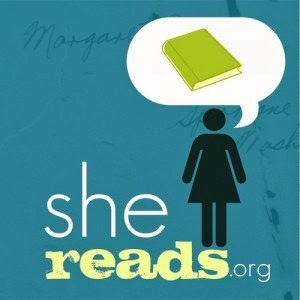 The one other Jennie Shortridge I read was like that. Seemed like a soap opera storyline that wasn't so soap opera-ish. Amnesia done well can be very interesting! I don't think I've read anything else by her, but I'll keep my eyes open for sure! Amnesia usually completely puts me off a book but this sounds good. It helps that the cover is so lovely! I liked this one a lot too! 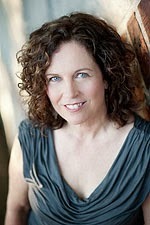 Jennie Shortridge is really talented and I've enjoyed her other novels too. I'm definitely going to have to seek out some of her other work! I really enjoyed the one book I read by this author and I've been reading to read more. This does sound good, especially the way you've described it, Jennifer. Hoping to start this one later this week. Looks very good. Nice review Jennifer. Hope you got to it, Anita. Hope you like/liked it! Ooooh non-soapy amnesia?! Color me interested! I had the exact same thought about the amnesia and all the drama--"this is going to be sooooo cheesy-dramatic"--but it wasn't. It worked. I was duly impressed. I enjoyed reading your review. This was the first book I've read by Jennie Shortridge and I enjoyed it as well. Thanks so much Pat :) I was quite impressed myself! Who'd have thunk? I'm glad this one turned out not to be a silly amnesia story. That does sound like a great choice for the beginning of the year. There are a lot of books with similar stories, but it's good to know that this one works! I've seen this book around...the cover keeps drawing my eye. I'm glad to know it's worth reading. Next time I see it, I'll be sure to pick it up. Thanks for the great review! Then I guess this is a book for me! Where have you been hiding Jennifer?! I'm climbing out of a reviewing slump ;) Finally!